Despise a most successful initial exchange offering (IEO) on the Binance Launchpad, Celer Network (CELR) is not holding as well as the BitTorrent Token (BTT) or Fetch (FET) did. With many hopes set into IEO’s for 2019, as the success of the first Binance Launchpad projects has triggered almost-copycat projects such as KuCoin’s Spotlight Launchpad, the first hours of trading for CELR do not help the optimism. Even though those traders who missed the Launchpad sale of CELR and were expectant enough to acquire tokens right after trading opened on Binance on March 25th at 4:00 UTC have already lost about 50% of their investment, as the Celer Network token has went down from $0.04 to $0.019 at writing time, there are still some winners: those few 3,129 Launchpad participants who managed to bag some CELR in from the over 39,000 requests. CELR was sold for back then for 1 token = 0.000434 BNB / 0.0067 USD, using the BNB price of 15.4325 USD from the 19th of March. 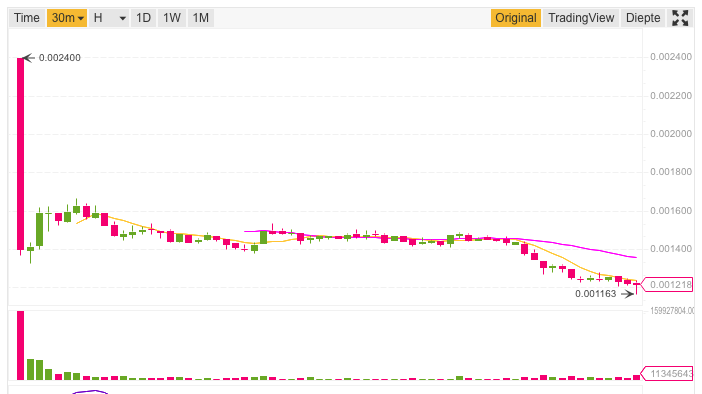 Crypto Twitter is definitely paying attention to the descending price action of CELR, with trader opinions shifting between those seeing a discounted asset and others without much hope for the latest project coming out of Binance Launchpad. Do you have some CELR in your bags?